Robert "Bobby" Bivens was born and raised in San Bernardino, California. 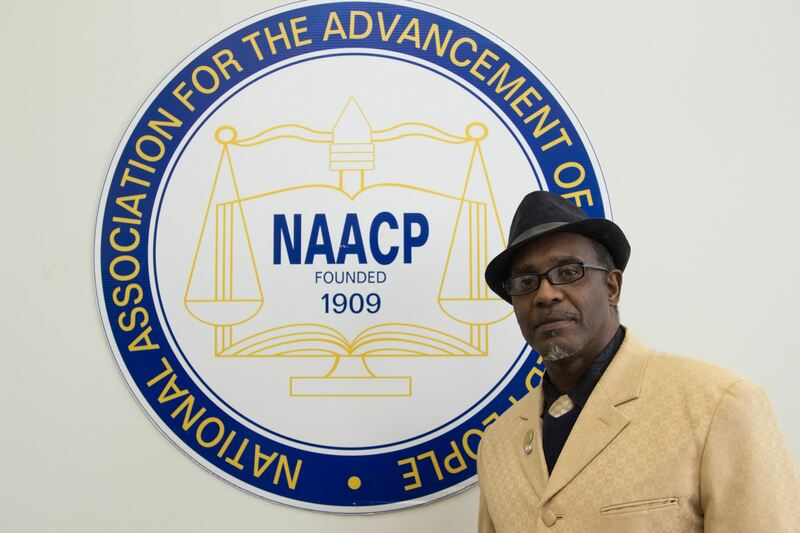 He has been a member of the NAACP since he was seven years old. Becoming a community activist at such a young age and maintaining that mindset is virtually unheard of. Yet, that’s exactly what our President Bobby Bivens has done. 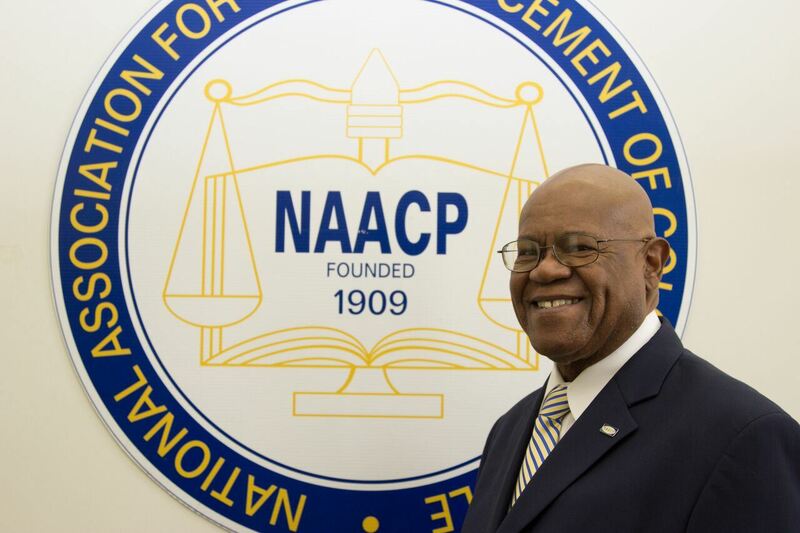 As a member of the NAACP Board, California State Conference and local President, Bobby has worked over the last ten years with commitment, dedication and energy for the Stockton Community. He is constantly looking for and finding innovative programs in which to offer and involve the students in their community. Bobby meets with superintendants in the school districts of Stockton, Lodi, Lincoln, Western Ranch and the County Office of San Joaquin County speaking to: the overrepresentation of Black children in the continuation program; the elevated crime statistics in the nation of Black boys; the disparities in the suspension numbers in our schools; and just recently the turbulent times in our nation with the realization that “BLACK LIVES MATTER.” He works hours with the parents and their children that have been recommended for suspension or expulsion, and then work diligently to get justice for the children if warranted. Bobby Bivens is an avid activist! He mentors our executive committee and young adults to be smart in their activism and also to stay aware and vigilant in their undertakings. We are exposed and have access to many nationally known figures. This type of interaction is priceless. The Annual Golf Tournament, The Freedom Fund dinner, partnerships with Kaiser, PG&E and support from Delta College enable Bobby to provide NAACP academic scholarships yearly. Last years scholarship distribution was in the amount of $8,000. His Partnership with the Stockton School District and Taylor Elementary in a program called LCROPP is designed to fight obesity in our youth. He is the Stockton Branch NAACP President, Past Member of NAACP National Board of Directors, Chair of California State Conference - Economic Advocacy Committee, National Association of County Officials – NACO, National Association of Black County Officials – NABCO, California Regional Purchasing Council, California Association of Contract Compliance Officers, Past President of the California Association of Equal Employment Opportunity Officers, Chair of the Council of Governments Advisory Council, Member of the City of Stockton – Water Advisory Committee, San Joaquin County Mediation Center Board of Directors, Member of City of Stockton Marshall Plan, Coalition United for Families – Chair, City of Stockton Waterfront Development Committee, Human Relations Task Force on Hate Crime, San Joaquin County Economic Development Commission. Robert "Bobby" Bivens is an Alumnus of the University of California, Redlands. D’Adrea Davie is a resident of Stockton, California, a licensed Real Estate Agent, and Housing and Urban Development advocate. Community Service is a big part of her purpose in life and career to ensure Democracy in Housing for all. D’Adrea currently serves as the Chair for the City of Stockton Planning Commission, First Vice President of the NAACP Stockton Branch, President for the Central Valley Realtist Board (CVRB), Secretary for the California Association of Real Estate Brokers (CAREB), member for the National Association of Real Estate Brokers (NAREB), member of Central Valley Association of Realtors, California Association of Realtors, National Association of Realtors, Central Valley Metrolist (local listing service), Black Women Organized for Political Action (BWOPA), and the San Joaquin African American Chamber of Commerce. D’Adrea studied at Clark Atlanta University in Mass Communications. 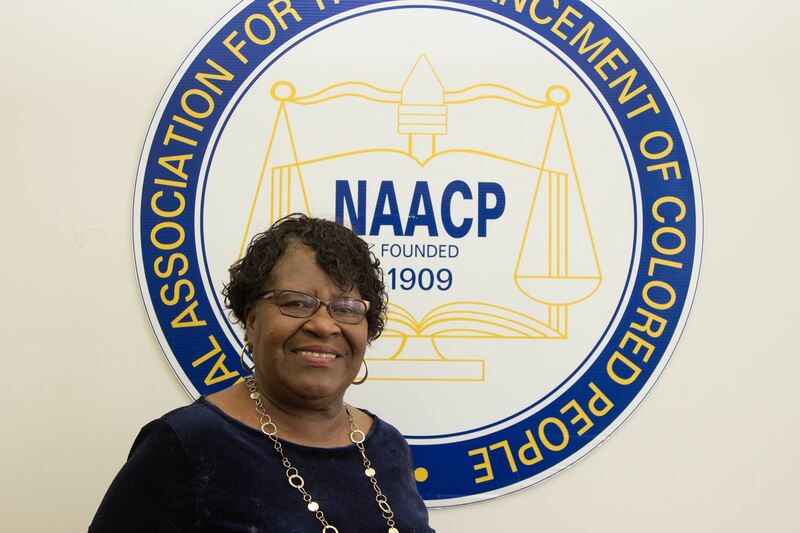 She has been a member of the NAACP Stockton Branch for the past 4 years and had dived in her passion for service, justice, and equal opportunity for all. 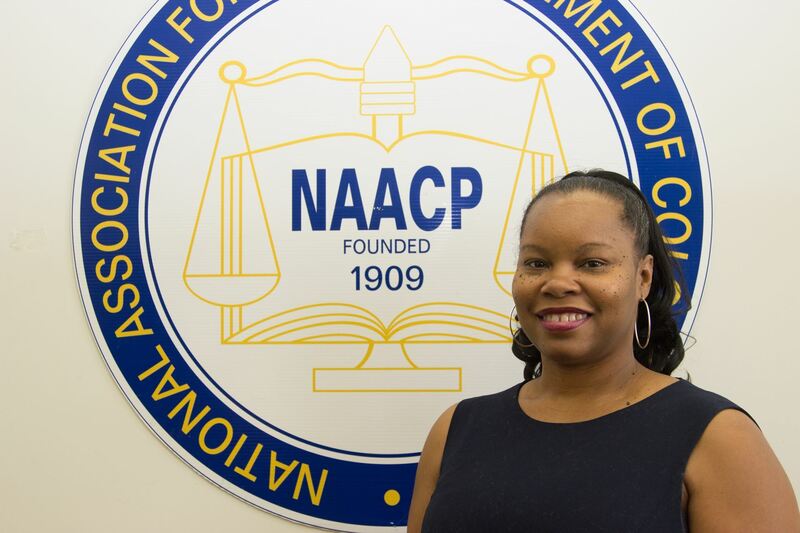 D’Adrea has contributed significantly to the growth of our branch through her advocate leadership and as the NAACP Stockton Branch Public Relations Chair. Ronnie Murray Sr. was born and raised in Stockton, California. He worked for the City of Stockton "Peace Keepers" through the Stockton Police Department for many years. Ronnie has the passion and energy of 1000 people when it comes to his love for his community and especially our youth who are often labeled, "trouble". Reverend Ronnie as he is fondly known is the Pastor of Disciples of Christ Church where he ministers to the homeless, disadvantaged and down trodden. 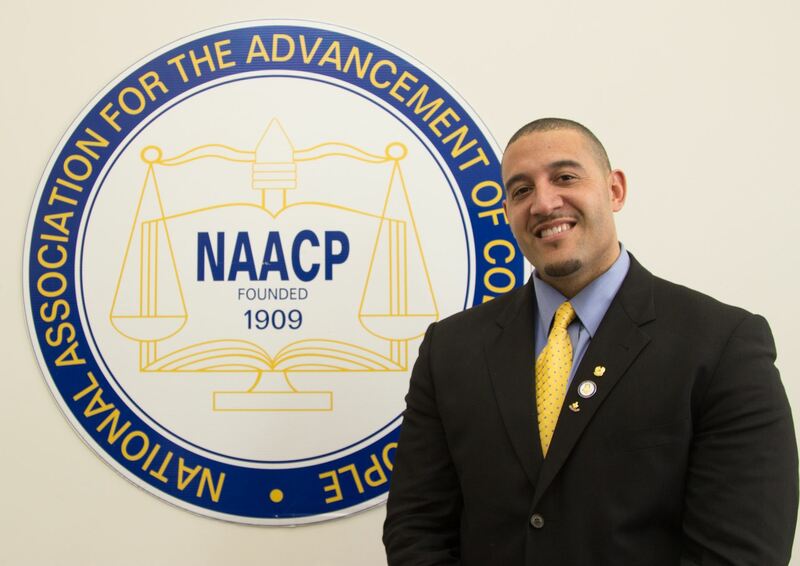 Ronnie Murray coordinates the Stockton NAACP "Annual Prayer Breakfast". The purpose of the breakfast is to bring together religious leaders across the community to pray for the Health and Wellness of Community and especially our Community Leaders. Each religious leader attending the breakfast gives a "one minute" prayer to ask of healing of cancer, diabetes, heart disease, obesity and the list goes on. Ronnie Murray Sr. is an Alumnus of the University of the Pacific. 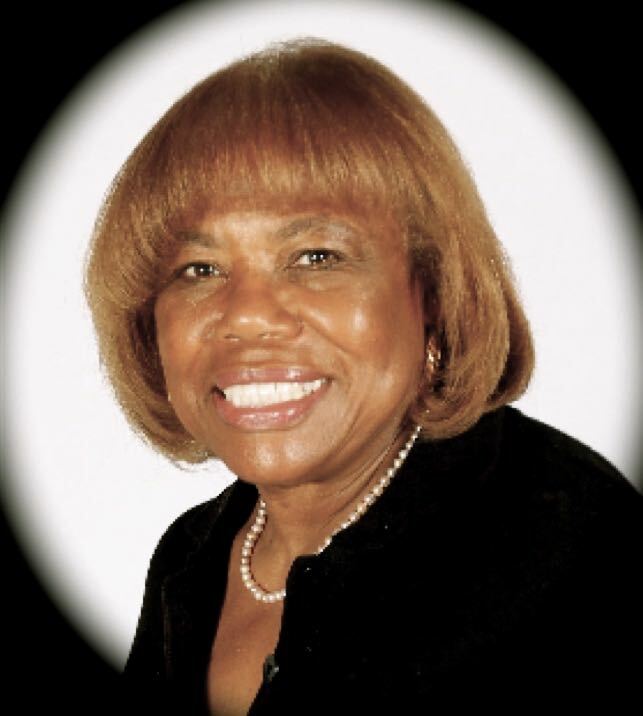 Gloria Johnson, a resident of Stockton and licensed Real Estate Agent, serves on the NAACP Stockton Branch Executive Committee and Women in NAACP Chair. As a community advocate, Johnson currently serves on the Federal Reserve Bank Foreclosure Recovery Committee, where she has participated in various housing seminars to prevent foreclosure and provide alternative solutions to homeowners. In addition Johnson served a 4 year appointment as the City of Stockton Planning Commissioner, where she reviewed and evaluated plans and projects and held hearings to approve or revoke permits for major developments and retail establishments. Gloria Johnson is also a member of the National Association of Realtors (NAR), California Association of Realtors (CAR), Central Valley Association of Realtors (CVAR), National Association of Real Estate Brokers (NAREB), California Association of Real Estate Brokers (CAREB), and the Central Valley Realtist Board (CVRB). LaJuana Johnson Bivens has help mold the Stockton Youth Council into a model in the City of Stockton, NAACP California State Conference and the NAACP Region 1. LaJuana ushered in a new age of cooperation & collaboration and demonstrating a remarkable ability to bring together local agencies along with both public and private organizations to work toward common goals for young people. A leading example of LaJuana’s vision becoming reality is the NAACP Youth Summit and Career Fair. Created in 2001 and first kicked off at the University of Davis’ – Stockton Campus, it was a forum where youth from throughout the county came together to meet and discuss issues they faced on a daily basis. Sponsored by companies large and small, attendees entered free of charge and were treated to a wealth of information in addition to a continental breakfast and lunch sponsored by the McDonalds Corporations. The summit has grown from its first year of 300 in attendance to a new venue at San Joaquin Delta College to over 600 students in attendance. As a student at the University of Arkansas she was involved in the Civil Rights movement. She is clearly an individual who has dedicated her life to making the world a better place for all of humanity. In her professional career as a former Deputy City Manager and Director of Human Resources/Labor Relations, LaJuana has been crucial in building bridges in the Stockton/San Joaquin Community. LaJuana Johnson Bivens is an Alumnus of the University of Arkansas at Henderson and St. Leo University in Saint Leo, Florida. Irene Outlaw was born and raised in Chicago, IL the forth child and only girl in a family of six children. She attended Lincoln University in Jefferson City, Missouri for her Bachelor of Science degree and after many years continued to obtain two master’s degrees from Central State University and Point Loma Nazarene respectively, an education specialist degree also from Point Loma Nazarene and finally a doctorate from Northern Arizona University in Flagstaff, AZ. Education was Irene’s life for over forty-five years during which she worked diligently to make a difference for children of all ages and races. Following her husband a career service Colonel in the US Army, she taught in five states spending a majority of her experience in the San Diego Unified School District (SDUSD). In fact, Irene spearheaded the writing of an $18 million dollar grant from the National Science Foundation, which was awarded to the San Diego Unified School District. She was subsequently appointed as the director to oversee the implementation of the grant at 150 plus sites comprising the district. Irene filled many capacities within SDUSD from teacher to resource teacher, assistant principal, principal and finally district office personnel including the director of the aforementioned grant over the districts mathematics and science program. Irene relocated to Stockton in 2003 to become the principal of Delta Sierra Middle School in the Lodi Unified School District, where she focused her efforts on preparing her students mentally and academically for college. She retired in 2008. She is the Education Chairman on the Stockton NAACP board where she assists the president in implementing the education program. Rev. Edmund Green is a native of Nashville, Tennessee and current resident in Stockton, California. Rev. 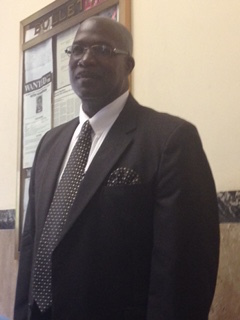 Green is a retired Operation Manager and currently serves as the NAACP Stockton Branch Labor Chair. Rev. Green became an Ordain Deacon in 1986, was licensed to preach the Gospel in 1990, obtained his Associates of Arts Degree in Biblical Studies and Bachelor of Arts Degree in Christian Theology Rev. Green is married with two children. Founder of the Sweet Hour of Prayer Nursing Home Ministry, whose objective is for God alone to be glorified because of this objective Rev. Green desire was to Preach the Gospel, apply God's word and love his people. Rev. Green lives for Him out of gratitude for his finished work on the cross and sealing my salvation. Cynthia Summers has been a resident of Stockton for 27 years, a licensed Real Estate Agent, serves as the NAACP Stockton Branch First Vice President and Housing Chair. Summers is married, a mother, grandmother, and great grandmother. As a community advocate, Summers currently serves on the Federal Reserve Bank Foreclosure Recovery Committee, San Joaquin County Workforce Investment Board, and the City of Stockton Charter Review Advisory Committee. Summers is a proud Alumnus of the University of California, Davis, The Catholic University of America & Housing Services of America, Inc.
Richard Walker was born in Berkeley, CA and graduated with a BS in Business Administration from CSU Stanislaus. Walker is a licensed California Real Estate Broker with nearly 20 years experience and a Wine Vintner and Founder of Faith Winery. Currently a student at Humphreys University Laurence Drivon School of Law in Stockton, CA. Serves as President of the Black Law Student Association and Vice President of the Student Bar Association. Walker devotes his time to honoring God, Family, and the Community. Walker looks forward to combining his talents with the many exceptional people from within this esteemed Association. Carolyn Gaynor, a resident of Stockton was born at Edwards AFB, California. Has an adult son and daughter and is single. Carolyn served as a Marriage Family and Child Therapist/Intern for Dignity’s Alcove, Catholic Charities, and Stagg High School, in Stockton, CA. Carolyn holds certification as a member of Kaiser’s Spiritual Care Team/Associate Chaplain received in January of 2010. Also known as Reverend Carolyn Gaynor, was licensed and ordained by Bishop T. Larry Kirkland of the African Methodist Episcopal organization in October 2010. Between 1999 to 2012 Carolyn established and served in multi-denominational youth ministries in Yuba, Sacramento, and San Joaquin Counties. As a community activist, she has established and administered transitional housing for the homeless, mental health clients, State parolees and county probationers. Carolyn is a Manager for the State of CA for over 36 years and is currently serving the California Highway Patrol. She is an Adjunct Professor in American River College’s Regional Safety Training Center and consultant for M.L. Eslinger of Grass Valley, CA. Carolyn considers herself to be one with a heart to serve others, as she has been involved in many activities, both secular and religious, that have had a wonderful impact on others in a holistic way.